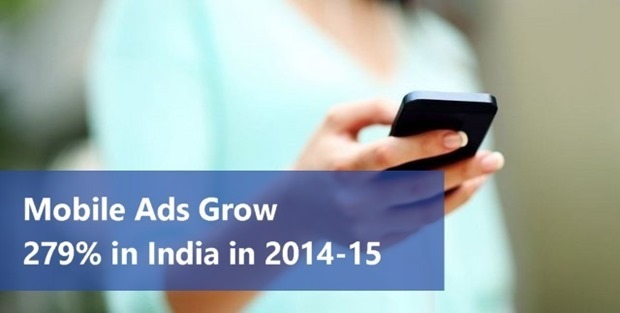 As per a latest research conducted by Smaato, it was found that growth of advertisements served on mobile web has overtaken mobile apps in India. Mobile usage is continuing to soar, breaking all existing records and the mobile advertisement landscape is still dominated by apps; but the growth of mobile web has surprised all. Smaato is a real time advertising platform for mobile publishers and app developers, and as per their website, they are world’s largest independent mobile ads exchange platform. They claim to serve 6 billion ads everyday across 600 million mobile devices globally, and over 90,000 mobile app developers and publishers are part of their platform. The research titled: “Global Trends in Mobile Programmatic – 1H 2015” was prepared after analyzing billions of ad-servings which happened on their platform during the first half of 2015. The highlight of this report is the tremendous growth displayed by their audience in Asia-Pacific region, particularly India, and the sudden, unexpected growth shown by users of mobile web, which is more than the growth displayed by mobile apps. – India displayed a staggering growth of 297% in terms of mobile advertisements servings across smartphone users (this includes both apps and mobile web). After USA & China (315%), this is the biggest growth shown by any country. – In terms of advertisement spend, mobile web grew by 38%, compared to 62% for apps. In 2014, it was 28% for mobile web and 72% for mobile apps. Overall, spending on mobile web increased by 101% compared to 2014. – In terms of ad-servings, 41% of all advertisements were shown on mobile web, compared to 59% on apps. – One interesting side-effect of increased mobile web usage and advertisement spends is larger banner ads. The 300 X 250 banners (medium rectangle ads) usage increased by whooping 254% compared to 2014, meanwhile spending on 320 X 480 banners witnessed an increase of 325%. As per Smaato, majority of ad-servings on their platform were consumed by these two types of banners. – 320 X 50 banners, which are the most popular advertisement form on mobile apps, grew only by 50%; which tells us that ads on apps are distracting, and receiving less attention. Mobile web banners are soaring to more popularity. – Android is still #1 in terms of volume, as it commands 35% of all ad-spaces on Smaato’s platform. iOS has a share of 20%. In 2014, it was 32% for Android and 24% for iOS. Note here that 41% of overall mobile ads are served on mobile web; hence Android and iOS are fighting it for the remaining 59% share. – However, it’s the Apple devices which bring in maximum revenues for Smaato, compared to Samsung’s devices (Android based). 33% of all mobile ads are spent on Apple devices, while 31% are on Samsung. Nokia devices still command 9% of share, while LG is at 6%. The summary of this report on mobile advertisement landscape is that, ecommerce brands cannot neglect mobile web, as compared to apps, they are growing at a more healthy rate. You can get the complete report here. "Mobile Ads Grow 279% , Mobile Web Overtakes Mobile Apps In Terms Of Advt Growth: Report", 5 out of 5 based on 1 ratings.